Smithwicks is from Kilkenny, Ireland and if taken in large doses can really make you wasted off beer, one of my favorite thing beer does. This stuff was brewed in St. Francis Abbey by Saint Abby Francis until 2000. Before that time monks would brew beer and stuff as I'm sure if anyone knows anything about monks it's A.) They brewed tons of beer B.) They have the most strength in Final Fantasy I and the most obvious, and deadly thing, C.) My mom loves to watch them on TV. It's like, monks were the coolest people back in the day. If I could go back in time, I'd totally wanna be a monk after high school. You never hear guidance councilors push that profession; they know it's too cool! Pete Guinness bought out Smithwick's in 1965 and was like, "Yeah, this sounds like a good idea." So he's been pushing it out the door since then and it was only like 3.8% and American were like, "Hey, if we're gonna drink this stuff you gotta make it a little stronger, ya boneheads!" so they made it 4.5% ABV over here, which is still low for such a full bodied ale. It's pushed by Guinness, and probably Alec Guinness, so you'll see this all over the place, as I'm sure you already have. I didn't really see it out much until like 6 years ago where I drank it and was like "OMG, ROTFL!" which clearly means I liked it. It's got a full bodied taste, like, you don't wanna slam this out in the desert, unless they were serving it on that ship Jabba the Hut had in Return of the Jedi where R2-D2 was serving drinks. I mean that place was probably air conditioned. But it's got a caramelly sweet, nutty taste to it. They call it a red, but it looks brown to me. Like, real brown. It smells great, sweet nutty aroma. The one issue I have with it is that douchebags used to always order Guinness at bars, and now douchebags order this to disassociate with the Guinness douchebags. 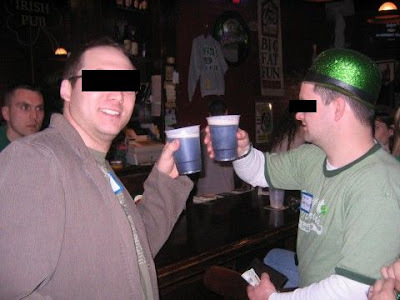 I order it when I'm in a bar with a bunch of Miller Lite or Belgians everywhere, cuz let's face it folks, if you order anything from Guinness, especially Harp, you're going to be labeled a douchebag and you probably are a douchebag. So go drink this, douchebag. I feel bad, because it is tasty. But douchebags ruined this. Just like like women ruined voting and that guitar player no one knows ruined Weezer. 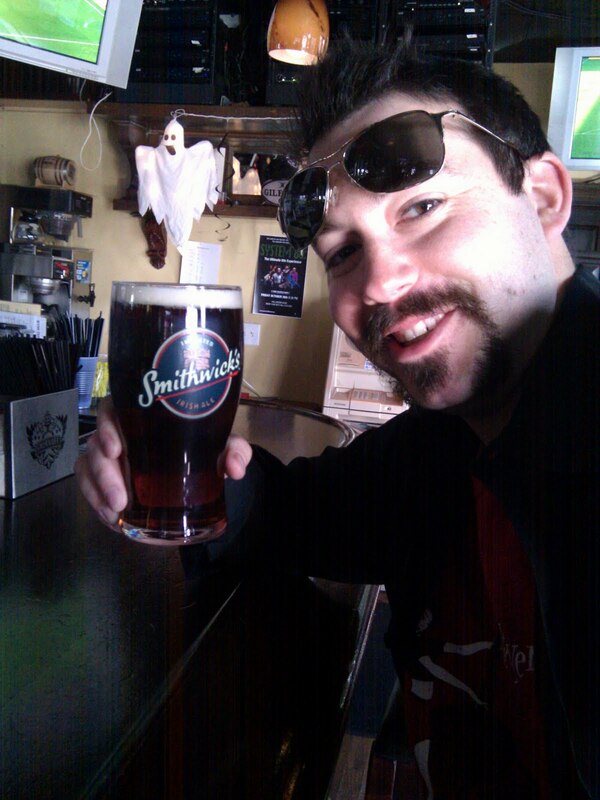 That guy probably drinks Smithwick's. Oh, if you do order it, call it "smizth-icks" of you'll look like a real jabroni! It's like $8 sixer. $6 for a pint at a bar; you do the math Einstein!